Huntington, WV is a city where "Heritage Comes Alive!" 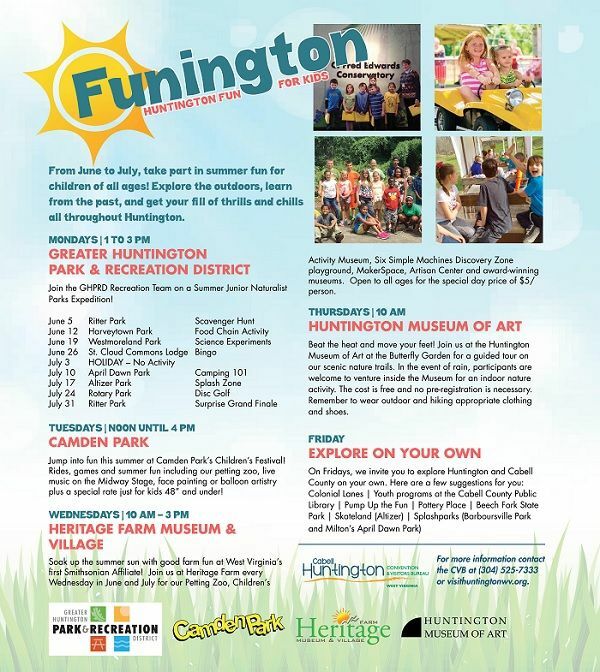 For Summer 2017, kids and families are invited to partake in Funington - Huntington Fun For Kids. The amusement park, art museum, parks department and Appalachian Village have partnered to ensure there is something for families to do every week day in June and July. Visit the website and click on the Funington logo for more information. Huntington is a great little getaway for you this summer!